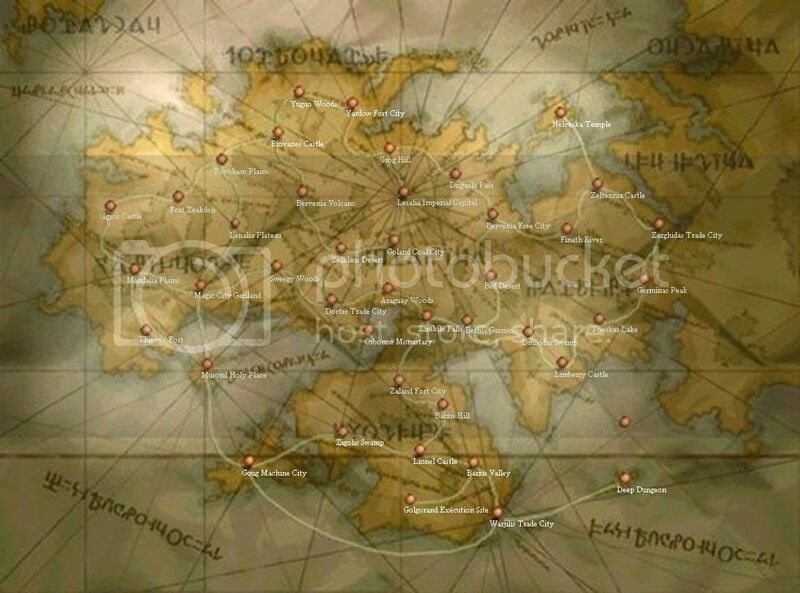 Okay guys, I am looking for a Map of Ivalice from FFTactics, with all the locations and pathways on it. That would appear to be from FFXII, not FFTactics. I thought it was the same world? Okay, so, I had the same problem before and could never find said map. Luckily for you, however, I mocked one up and stuck it in my photobucket a while back. Last edited by The Kneumatic Pnight; 01-06-2009 at 11:43 PM. And I'm a dolt not just for getting that wrong but (even wrongly) misplacing Gene Wilder for Martin Sheen. There's no excuse for that. I'd just heard my brother rant about him and I got the name stuck in my head. Oh thank you KP. You are a life saver. Requesting the North American tier lists for Super Street Fighter II: Turbo, Street Fighter III: Third Strike, and Street Fighter IV, preferably with explanations as for why the tier lists ended up like that. I'd be happy to oblige, just as soon as I find out what a tier list is. I think it's just a list of characters in order of how good they are. The server time is now 10:12:48 PM.